To bow or not to bow? I have friends who love bows and some who don't as it reminds them of childhood dressing, in a bad way. I like them. 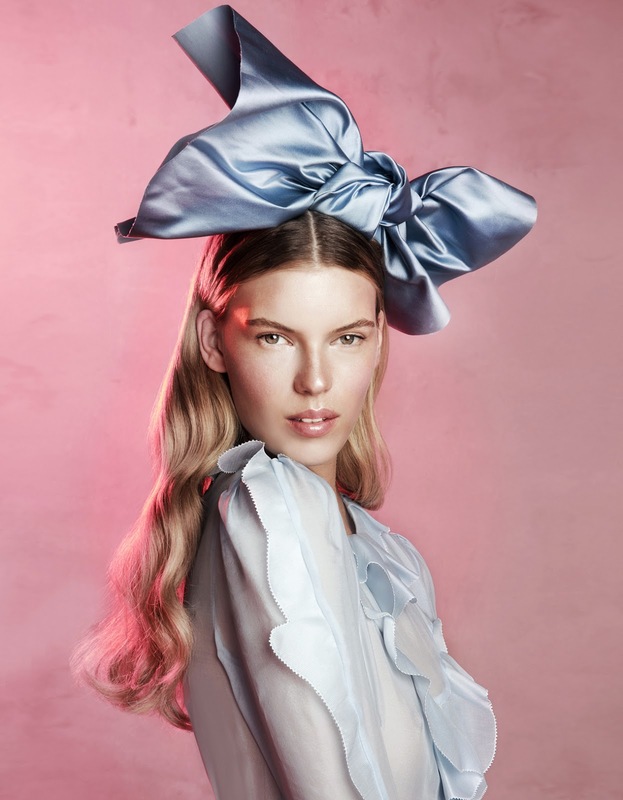 French model Victoria Tuaz sports a variety of huge, colourful hair bows in 'the Sweet and the Powerful', photographed by Oskar Cecere and styled by Samanta Pardini in the May 2013 issue of Marie Claire China. Next time you feel that your outfit needs a finishing touch, think of this girly shoot, although I personally go about half the size and opt for more discreet hair bows and hair accessories.